Nursing is a crucially important profession. From doctor’s surgeries to emergency rooms to ICUs, we rely on these professionals to care for us and our loved ones when we get sick. 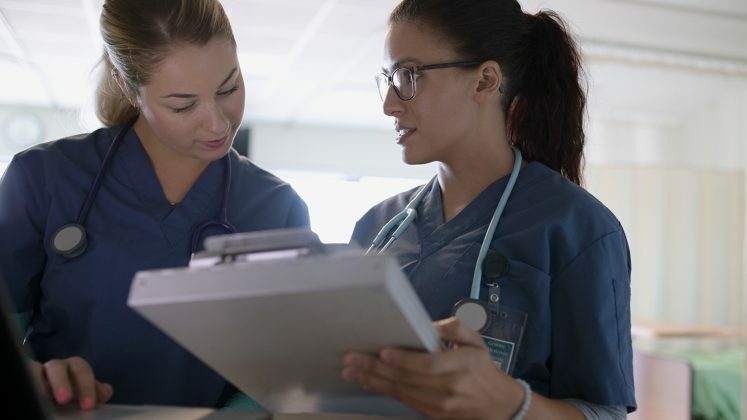 Just how in demand are nurses? Well, “registered nurse”, “RN”, and “LPN” (licensed practical nurse) were among the top ten most-searched terms overall on Indeed Resume in 2017. Employers aren’t waiting around for applications to come rolling in. They are proactively searching for qualified professionals to fill their roles. Meanwhile, as the population ages, demand is only likely to rise. But nursing jobs are not always easy to fill, and the aging of the population applies to the profession, too. Today, many nurses are on the verge of retiring. Salaries are relatively high, but is that enough to attract new talent? Our data science team analyzed Indeed data for RNs to provide a snapshot of the field, from how much it pays to where it’s toughest to hire. Let’s take a look at the results, and also some tips for narrowing the hiring gap. However, averages alone can be misleading, as the cost of living can take a giant chunk out of your pay packet. This varies not only from state to state but from city to city. So what happens once you adjust salaries for cost of living? Californian salaries still perform well even when adjusted, but they do not dominate the results. True, first on the list is Riverside, CA, which leads with an adjusted salary of $81,339. This is a significant rise in ranking compared to last year’s report, where it placed sixth. Other cities in the Golden State also perform well—we see San Francisco (#8), San Diego (#10), and Los Angeles (#13) on the list. However, Californian cities are mostly absent from the top five. Instead we see Atlanta, GA, in second place—a huge jump from #15 last year—here the adjusted average salary is $73,568. Minneapolis, St. Louis and Orlando round out the top five. Meanwhile, sixth place Houston is home to two of the best rated hospitals by employees on Indeed, suggesting that it’s a city where both salaries and job satisfaction for nurses run high. Where is it toughest to hire nurses? So wages are performing well, and difficulty in hiring often drives up salaries. But this doesn’t always make it easier to hire nurses. The table below shows the “mismatch” between clicks from job seekers and job postings in the metros listed above. As the results make clear, higher wages are not a magic bullet. In fact, Seattle (which ranks 7th on our adjusted salary chart) is worst affected. However Riverside, where nurses earn the most once salaries are adjusted for cost of living, is not far behind. It’s in third place, just after Kansas City (#14 for adjusted salary). Meanwhile, postings-interest mismatch is actually smaller in notoriously expensive San Francisco than in any of the seven cities that outperform it for salary once adjusted cost of living. Clearly, salaries are important but they are only part of the puzzle when it comes to closing the talent gap. important professionals. After all—our health depends on it.